This week has seen the first frosty mornings of the season, so the gardens are really starting to shut down for the year. However, there are still a few plants still hanging on. 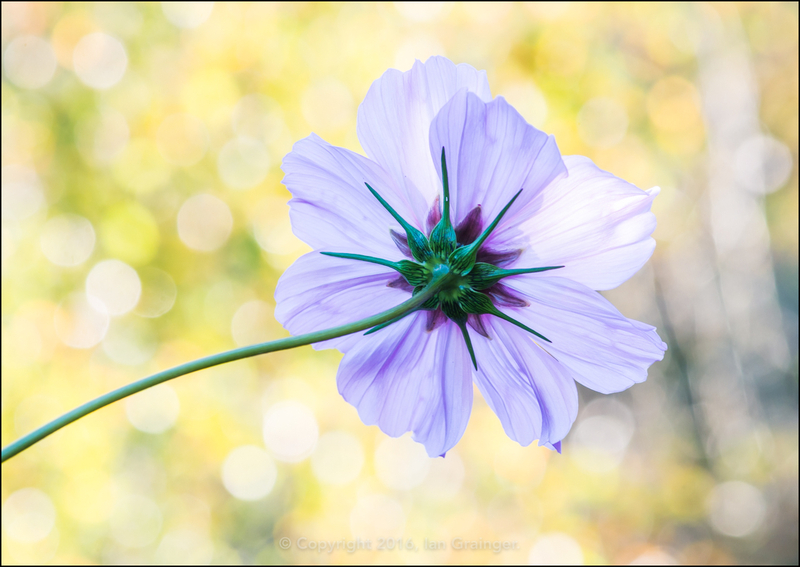 Starting our pictorial journey in dad's garden, this Cosmos (Cosmea) was looking quite lovely in the early morning autumn light. It has survived frost and high winds this week, and is still producing new buds, although probably not for much longer. 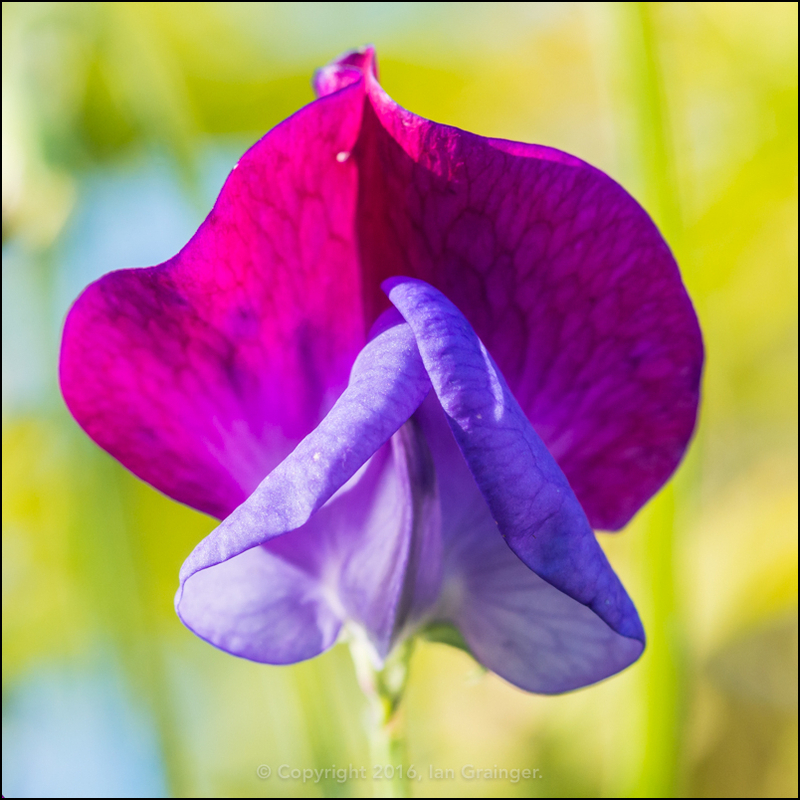 My favourite Sweet Pea (Lathyrus odoratus) had only one bloom remaining, but it still looked as attractive as when it started flowering a few months ago. 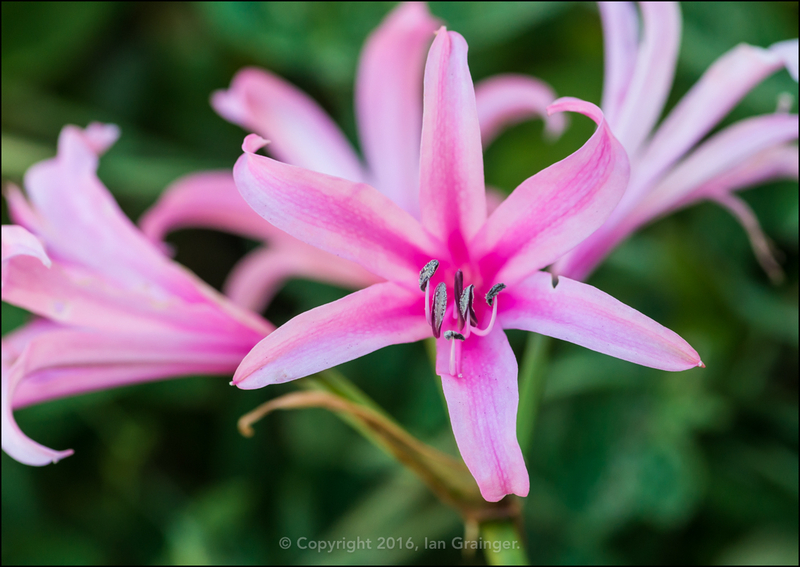 Guernsey Lilies (Nerine bowdenii) don't seem to mind the frosty conditions, and this pink one was thriving in a pot on the patio where the bulbs can bake in the warm summer sunlight. 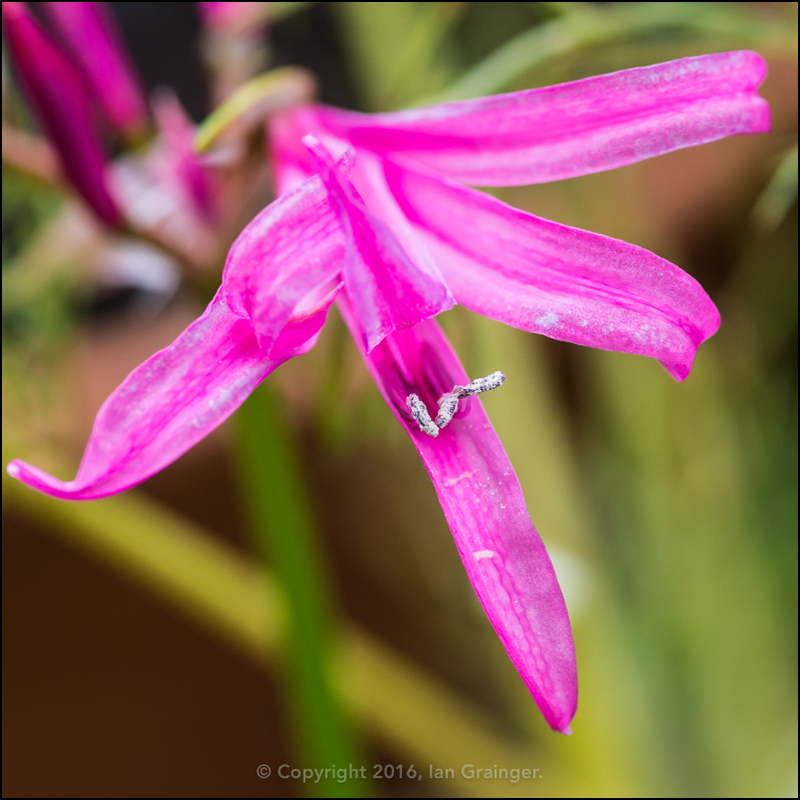 The white ones were also doing very well, although the flowers were a little smaller. 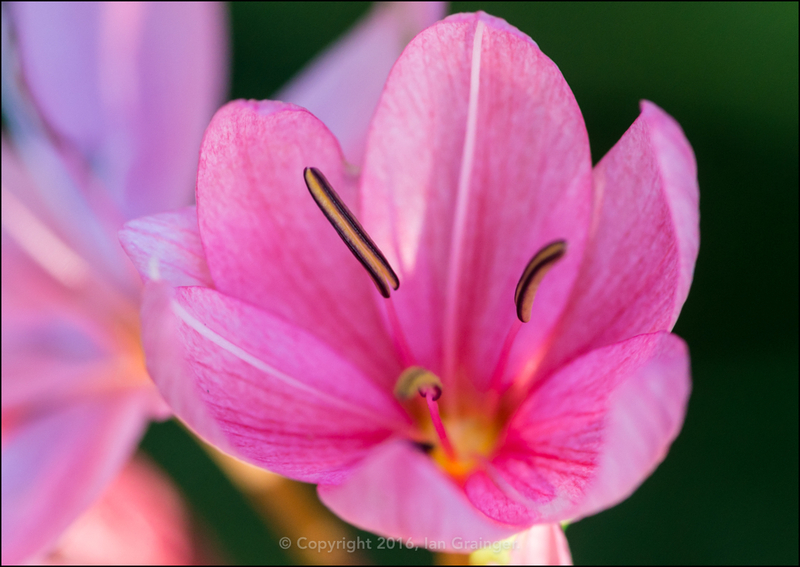 The River Lilies (Hesperantha coccinea) still had plenty of flowers on them, but they had been notably affected by the frost, so I don't expect them to be around for much longer. 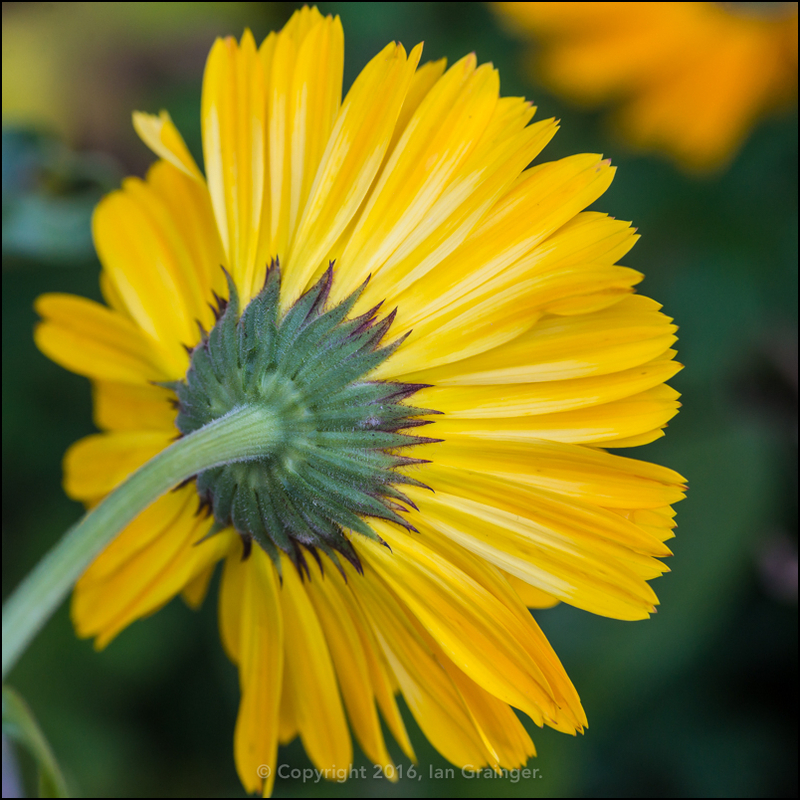 I don't expect the Pot Marigold (Calendula) to last much longer either. 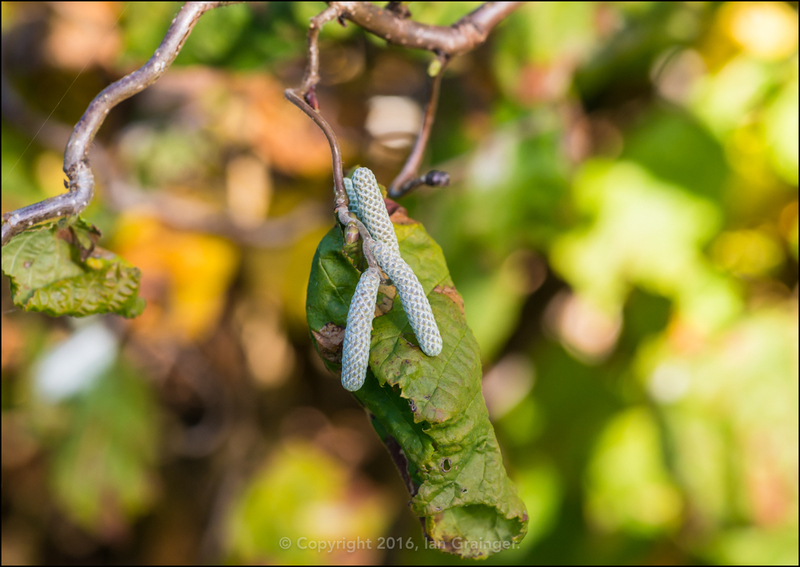 ...and the catkins had continued to develop on the Twisted Hazel (Corylus avellana contorta) tree. 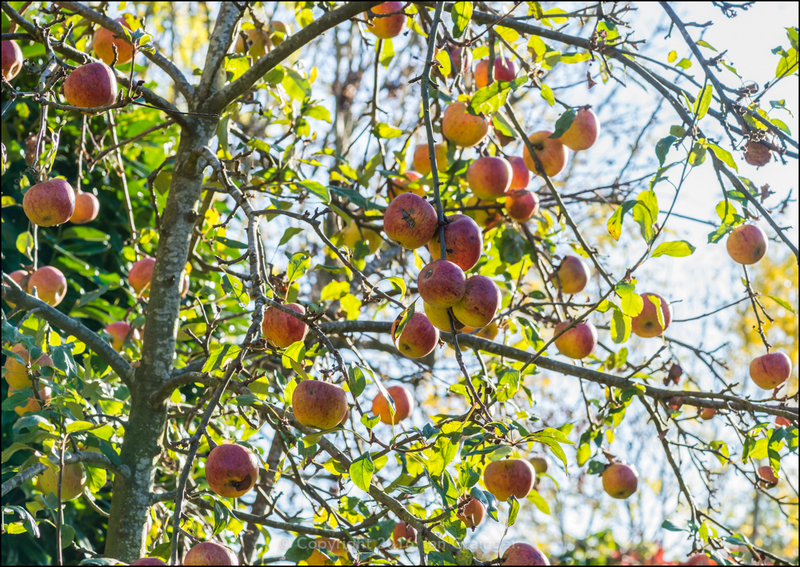 A neighbour was also getting a bumper harvest from their Apple Tree (Malus pumila). 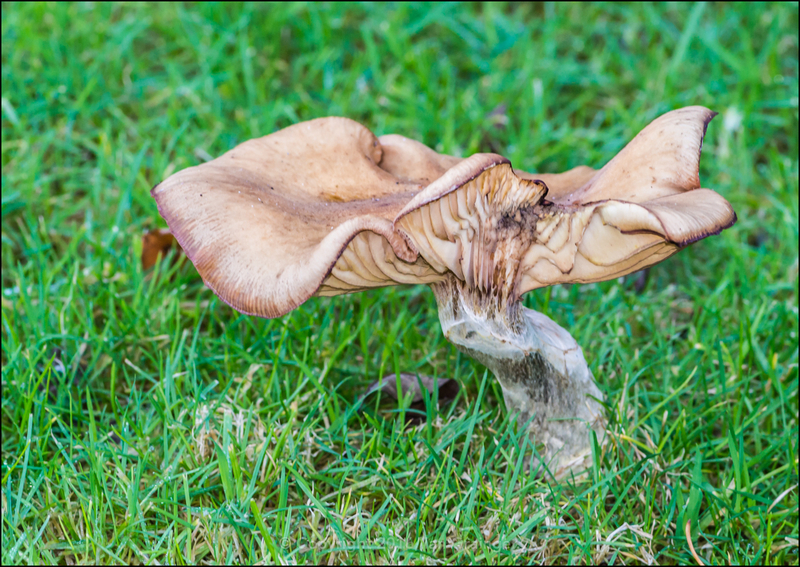 Large Mushrooms continued to grow in the lawn, although nothing had been nibbling at this one this week! 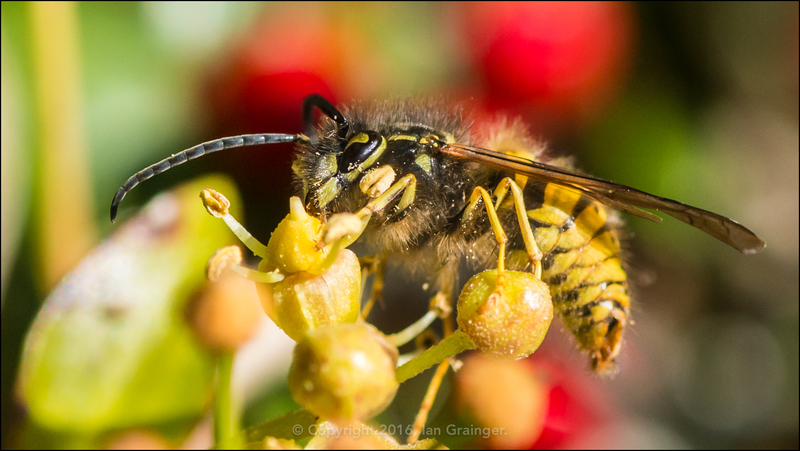 With the weather turning much colder I hadn't expected to see any insects, but I was lucky enough to find this Common Wasp (Vespula vulgaris) collecting pollen from the small flowers of a Common Ivy (Hedera helix) plant. 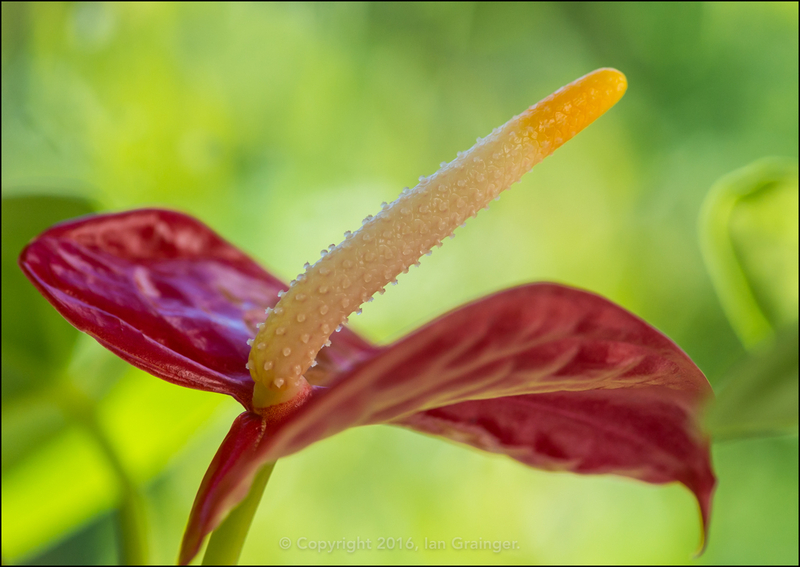 ...and this Flamingo Flower (Anthurium). 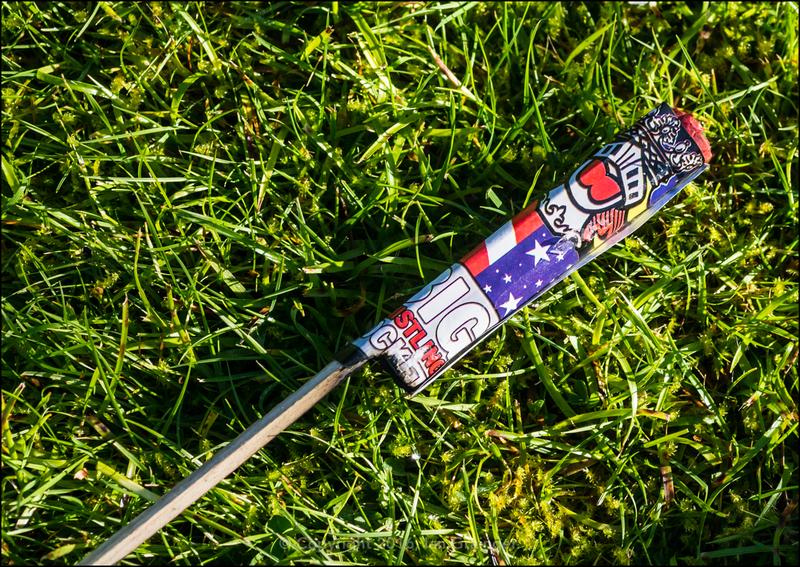 It had been Guy Fawkes night on Saturday, and there had been lots of fireworks going off in celebration. 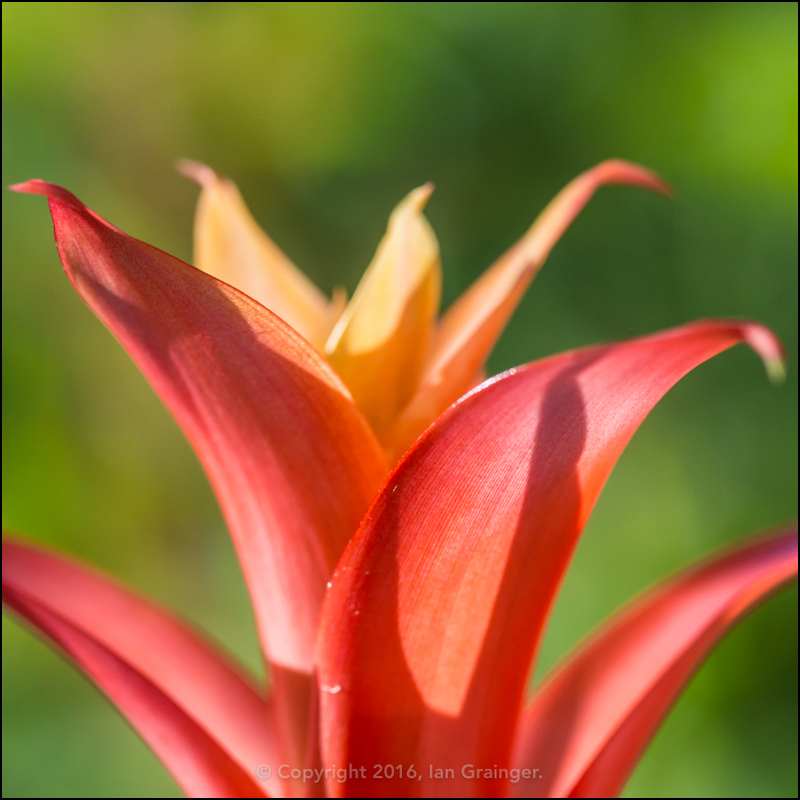 This was one of half a dozen I found as I walked around the garden. My furry photo companion was not impressed by the loud noises and spent Saturday evening sat on dad's lap, jumping at every bang made by a fireworks. 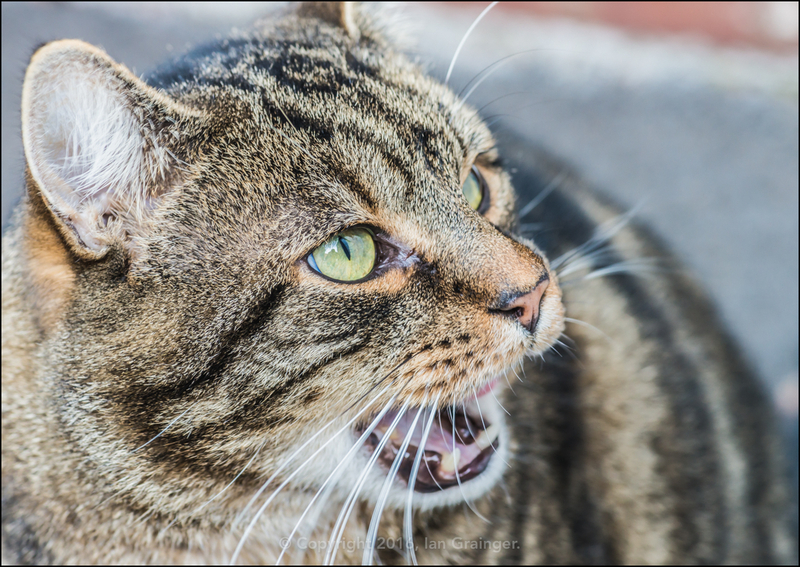 He was much happier on Sunday, accompanying me on my photo shoot! Over in my garden, I had a very late arrival! 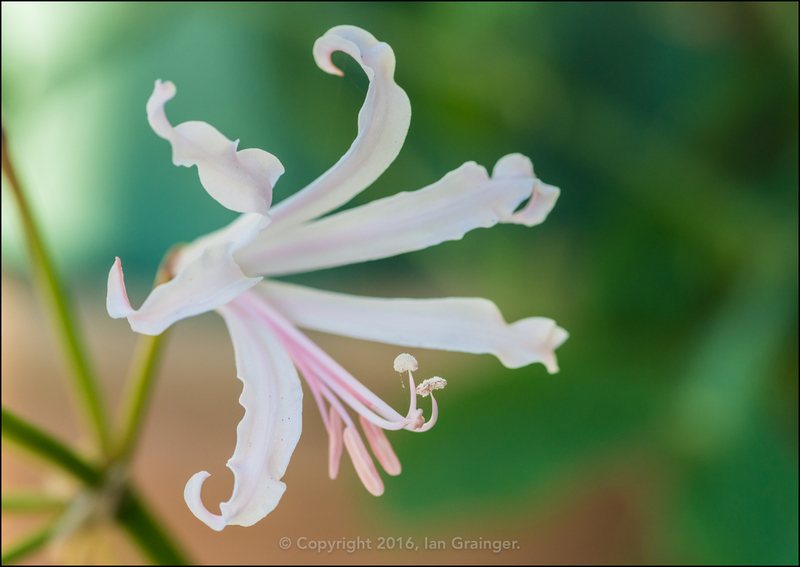 Although my white Nerine's had been in bloom for a couple of weeks, I'd been waiting for them to be joined by the pink ones. This was the week they decided to show themselves. 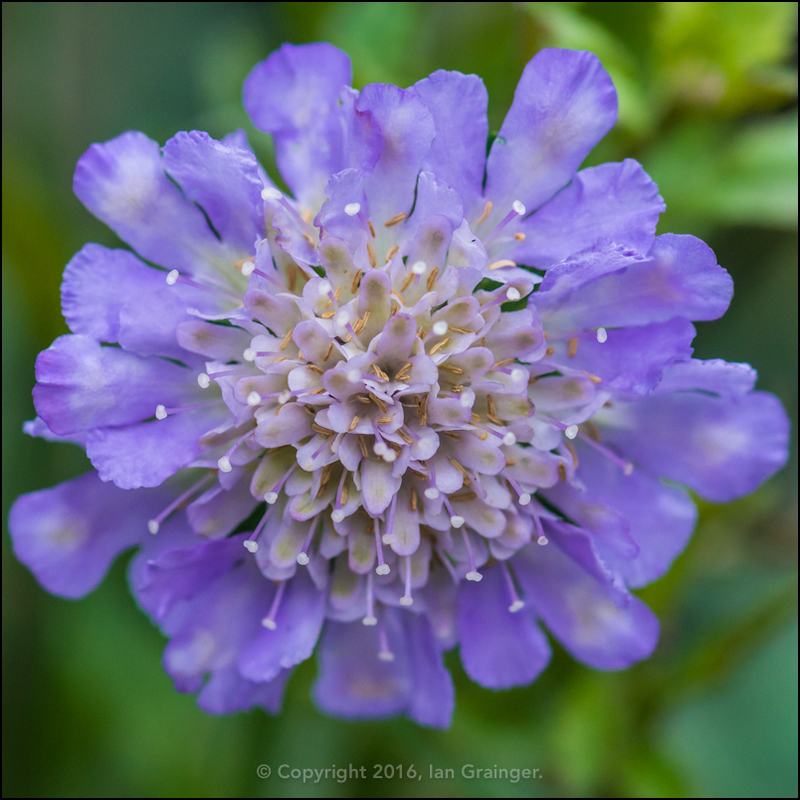 I also had a little Pincushion Flower (Scabiosa columbaria) show up on the scene, just in time to witness the coldest night of the season so far. 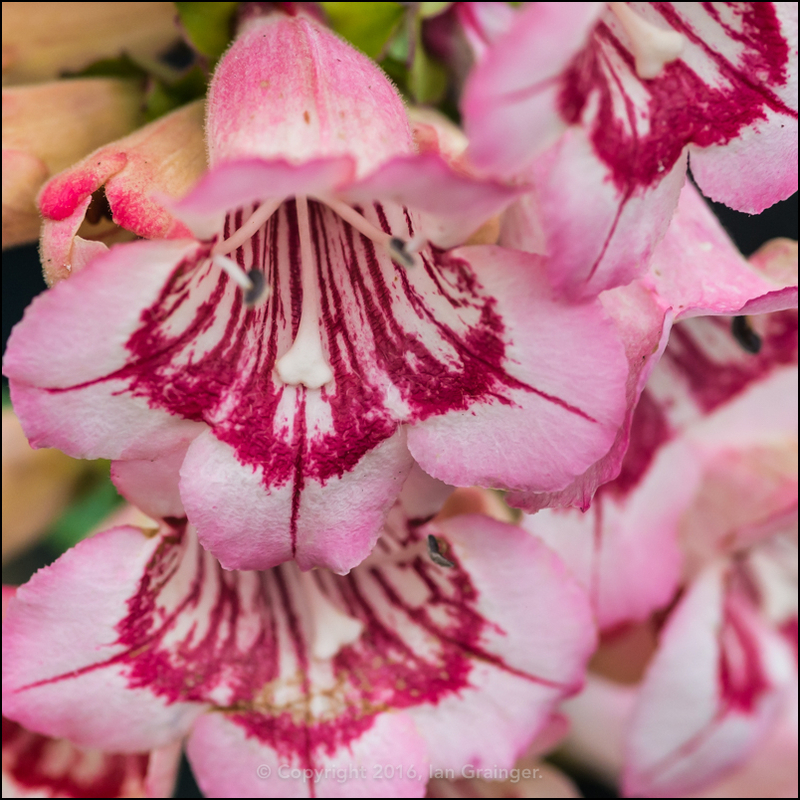 My Penstemon 'Hewell's Pink' was also flowering, now for the third time this year, but after a very heavy frost during the week, I don't think it will be back until next year. 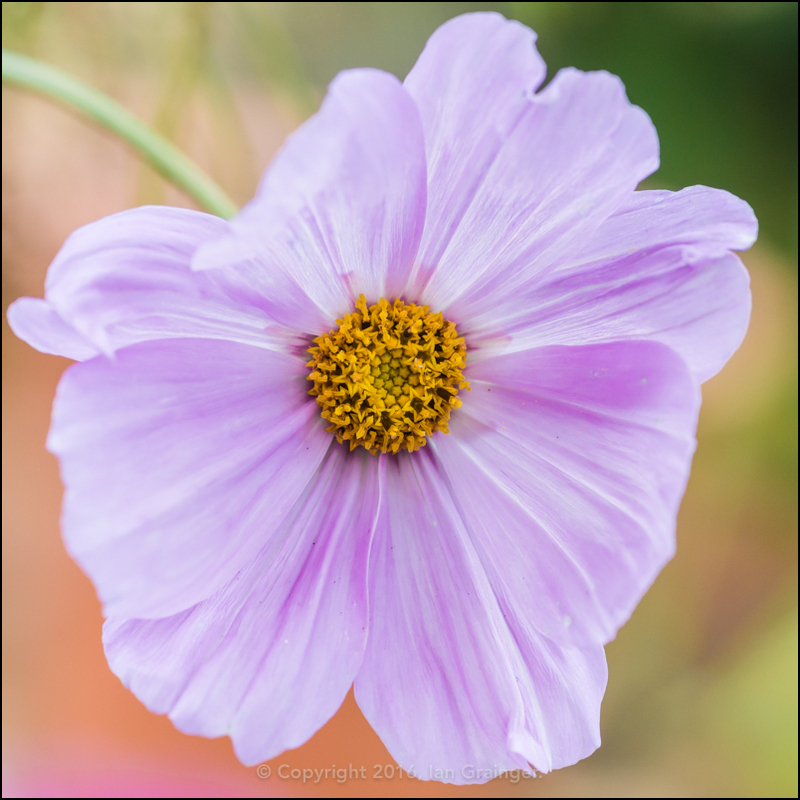 The Cosmos were doing well despite the weather, and like dad's, still had plenty of buds left to open. 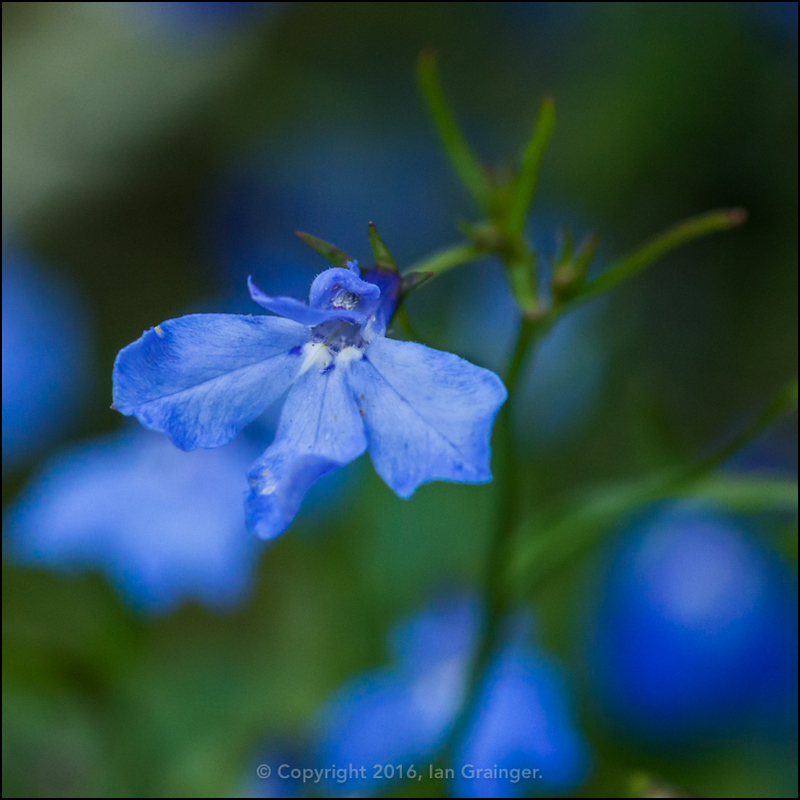 The Lobelia (Lobelia cardinalis) were one of the first flowers I planted this year, back in April, and they were still continuing to flower. 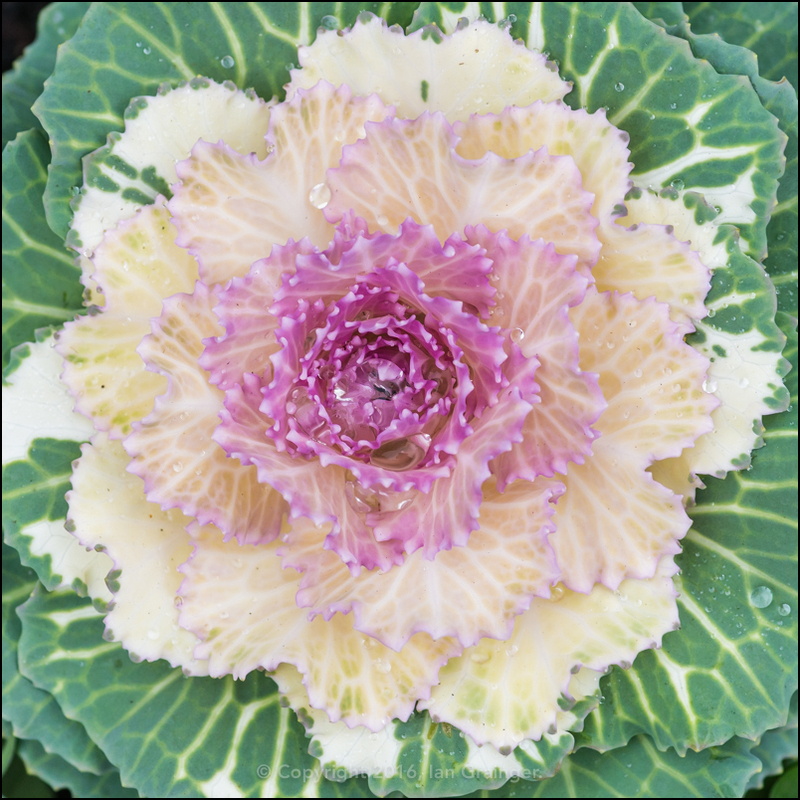 The Ornamental Kale (Brassica oleracea) was relishing the cold weather, and had put on a growth spurt since it had been planted about a month ago. 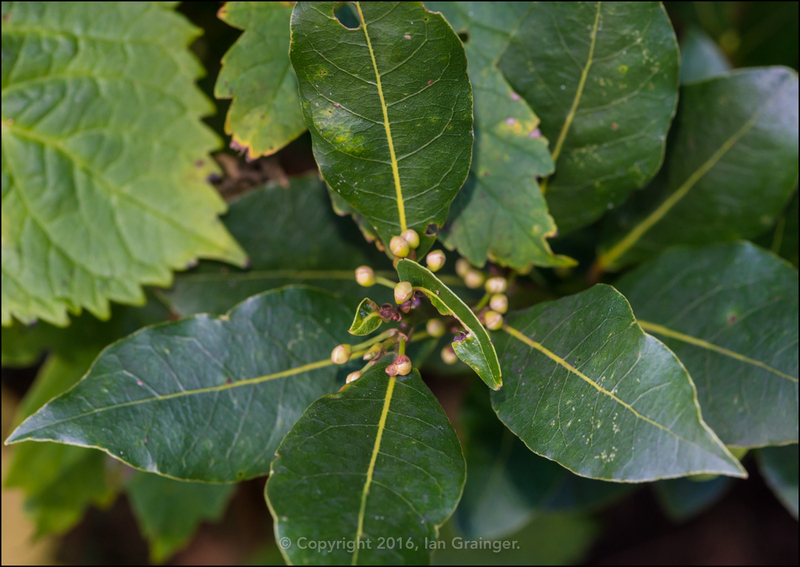 Finally, probably one of the most beautiful plants in my garden wasn't a flower, but a shrub. 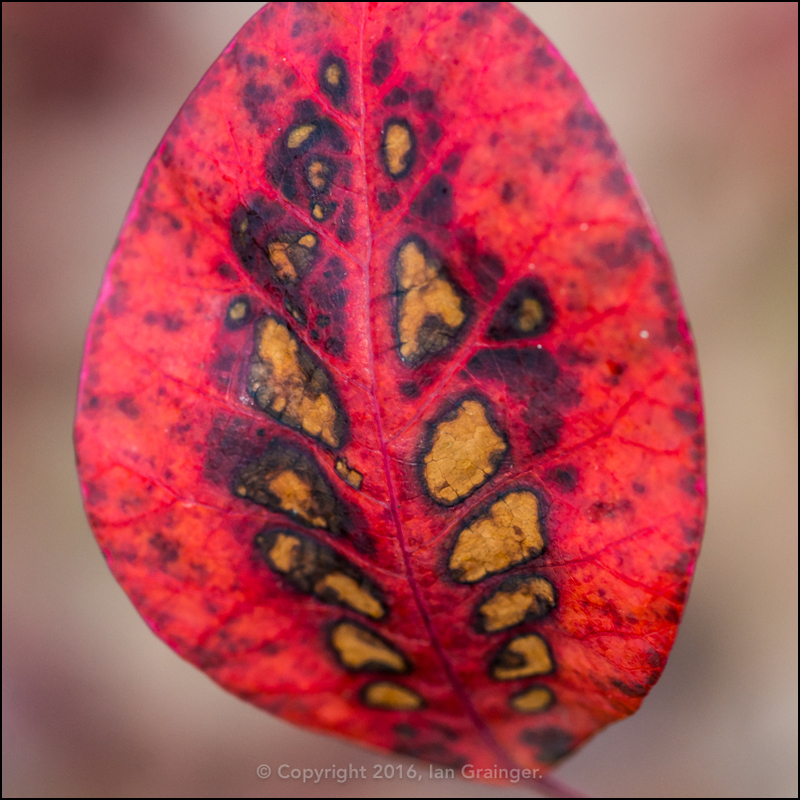 The enormous Smoke Bush (Cotinus coggygria) that stands outside my front door was covered in these amazingly attractive leaves.